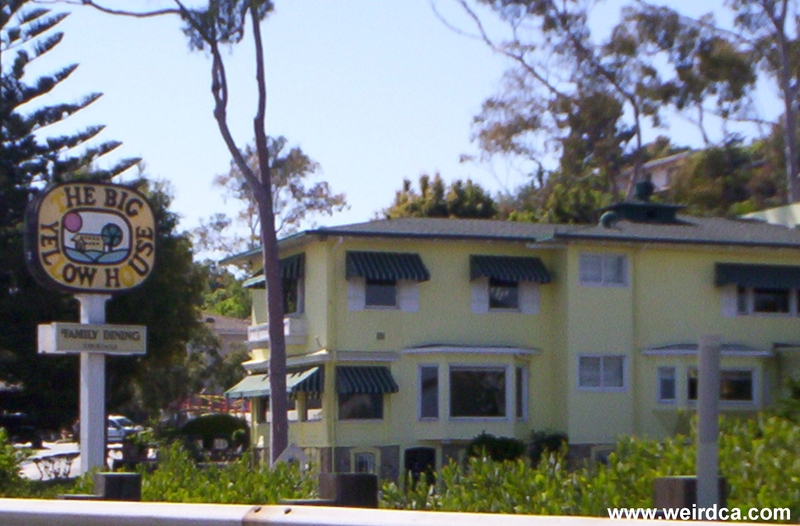 Summerland - settled by spiritualists, séances were often held in the Big Yellow House which is now a restaurant. I lived in Summerland for awhile in the late 1970's. Got to be good friends of the Manager, assistant Mngr, and wait staff. They told me of many instances where they would finish their "side-work" (setting the tables up for the next day) late at night, leave the room, hear some noise, and return to find their tables all messed up! No one wanted to be left alone when it was time to lock-up at night. I remember it burning down a couple time as I was a kid .. down the street was the best sub sandwich place ever. I remember when I was little we used to eat there all the time and would see this lady in a long white gown carring serveral candles resembling a candleabra.